The Somerset family house in recent years, in use as a branch of the Cheltenham & Gloucester. Burchall was born on 20 April 1889 the fourth and youngest son of Henry Somerset and his wife Mary Bown née Peren. His unusual forename was from his mother’s family, her father being Robert Burchall Peren. His seven siblings were Francis (Frank) Henry (born 1882), Edmund Edgerley (1883), Edward Owen (1885), Arthur (1886), Lionel (1888), Mary Irene (1890) and Edith Isobel (1893). Arthur’s life was tragically short and he died very soon after his birth. Henry Somerset was a son of Francis Flower Somerset and Jane Rowell; his mother’s family was intricately connected with the Northbrook Street brewery, sometimes known as the Castle Brewery but best remembered as the Newbury Brewery Co. This limited company was created by Henry’s father after he became the sole proprietor of the brewery when his wife’s uncle, John Satchell, sold him his share of the company - ending a succession of partnerships involving the descendents (Comptons, Rowells and Satchells) of a local entrepreneur, Thomas Smith (builder of Smith’s Crescent in Shaw Road). 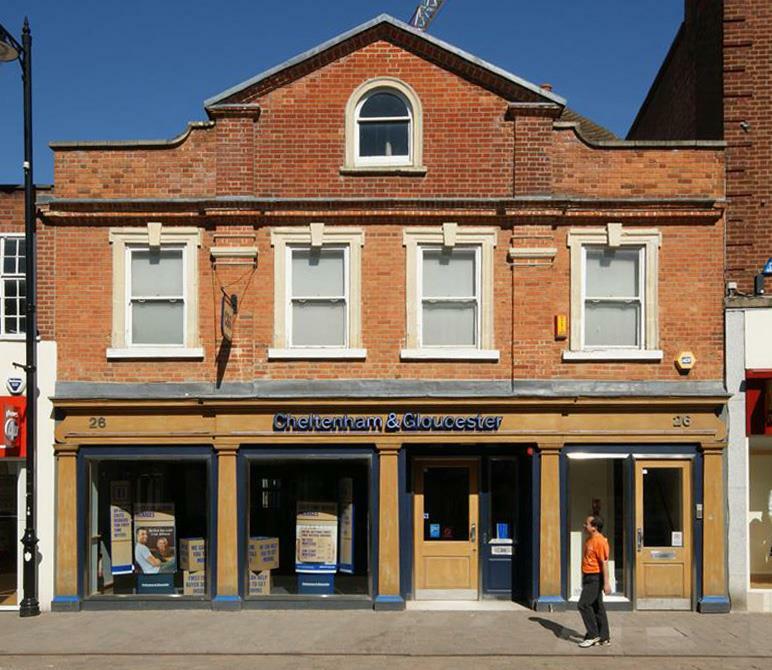 Henry became manager of the brewery and lived with his family in the brewery house (26 & 27 Northbrook Street), recently the Cheltenham & Gloucester and now TSB. 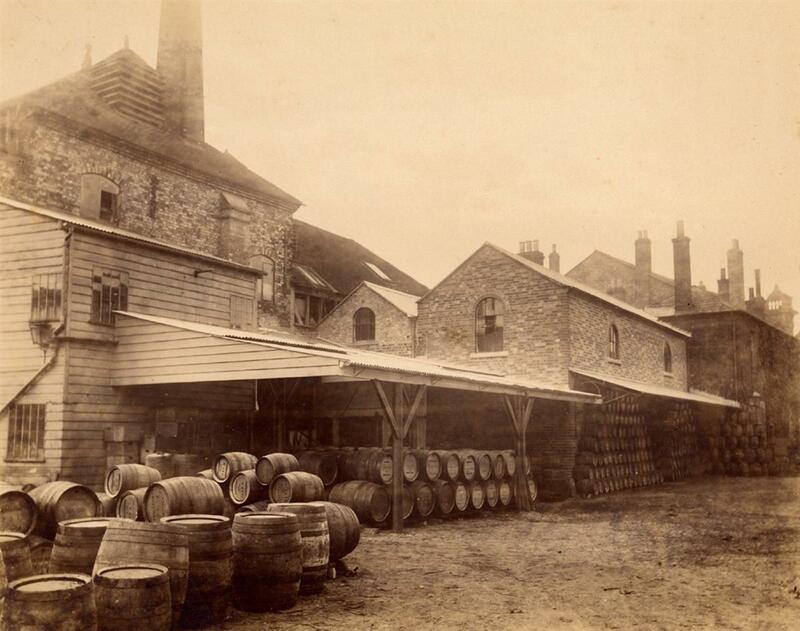 In 1894 Francis Flower Somerset died, leaving Henry in charge of the brewery, however, three years later, on 20 September 1897, Henry also died. His death so young (he was only 45) followed a few months after the death of his younger brother Reginald and disrupted family life to a confusing extent. The first issue was that his brother Edward gave up his career as a surgeon to take on the management of the brewery, the source of the family’s wealth. Henry’s widow, Mary, and her brother Robert Henry Peren were executors of Henry’s will in which he left over £5,000 in ‘effects’ – a very sizeable sum in 1897. Robert was a manager in the insurance business – which may well have influenced his nephews’ choice of career; none of them entered the family business in Newbury, instead they became clerks in banking and insurance, the first step towards a career in finance. Young Frank was educated at Newbury Grammar School and it is believed that Burchall spent some time at the same school. Frank and Edmund left England for South Africa while they were still teenagers, probably to a relatives or business contacts of their uncle for whom they worked as bank (Frank) and insurance (Edmund) clerks. For their stories see here. Burchall and his two young sisters were educated at St Michael’s Orphanage at Woodside, Croydon. It is unusual to find youngsters in an orphanage when one of their parents was still alive, but St Michael’s was not a normal orphanage! Founded by Revd Arthur Tooth at Hatcham in Kent St Michael’s was attached to a religious community, also founded by Tooth – the Community of the Holy Paraclete. Father Tooth was a notable Anglo-Catholic who fell foul of the law when parliament passed the Public Worship Regulation Act in 1874 in an attempt to stamp out many High Church practices in the Church of England. Prosecuted under the new Act Tooth was found guilty and imprisoned (for contempt of court) when he persisted in leading worship in the manner he felt proper. As the first clergyman imprisoned he become a ‘martyr’ to supporters of high church worship. The Act remained on the statute books until 1965, but prosecutions gradually reduced and ceased in 1906 when a Royal Commission recognised the legitimacy of plurality in worship. Tooth moved the Community and Orphanage to Woodside in Croydon in 1877 after he was released from prison. Although his imprisonment was short (about a month) it had a more lasting effect in that he was ejected from his living at St James’, Hatcham. As he had private means he opted to purchase an estate at Woodside called Stroud Green House to which he had plans (only partially implemented) to add a convent for the Community. St Michael’s Orphanage was for ‘sons of professional men and others in distressed circumstances’ who only needed to have lost one parent. As can be seen by the presence of Burchall’s sisters, Irene and Edith, daughters were also accepted. 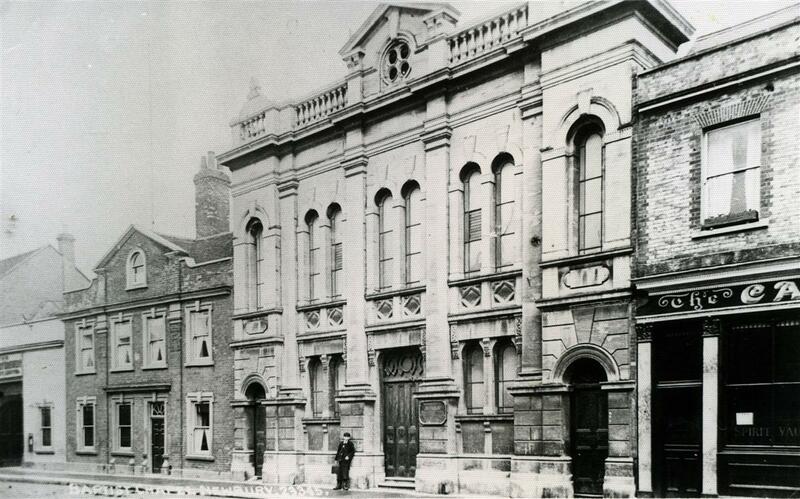 Northbrook Street Baptist Church - this would have been a familar scene to Burchall when the family lived in the brewery house next door. It is difficult to see how the family’s circumstances became ‘distressed’ so soon after the death of Henry Somerset. Not only did he leave a substantial sum (over £5,000 – equivalent to £500,000 in 2015), but both Henry and Mary were both from middle class families who would surely have been able to support a more conventional education. However, distressed circumstances could also explain the emigration of Frank and Edmund to South African and, in 1905, Lionel to Canada – all seeking a new life in the colonies. In 1906 Burchall followed Lionel to Canada, where they settled in Nahun, British Columbia earning their living as ranchers. In 1912 they were joined by their mother and sister Edith, who sailed from London to Montreal on the SS Scotian on 19 July that year. An indication of the downward drift in their social status is shown by the occupations they give: ‘housewife’ and ‘domestic’. When Britain declared war on Germany Canada was automatically at war as part of the Empire; young men volunteered in their thousands, just as they were doing in the home country. On 4 January 1915 Lionel enlisted into the 2nd Regiment, Canadian Mounted Rifles. Five months later Burchall followed him, enlisting into the same unit. Without sight of their service records it is not possible to give any personal details of their service. The Library & Archives Canada is currently digitising all such records, some are already available, the remainder should all be available by 2018; this account may well be modified in the light of new information as and when their records come online. 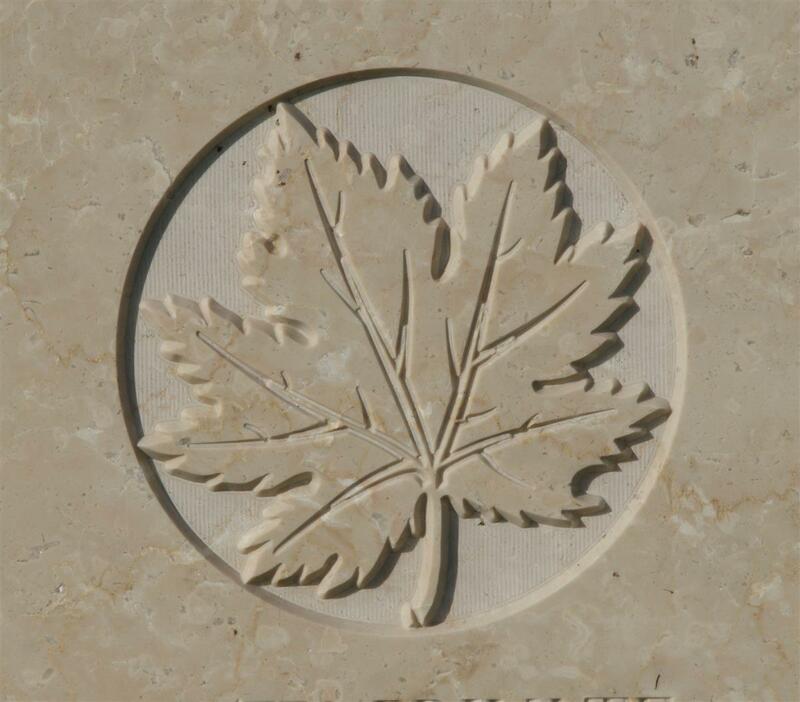 The Canadian Expeditionary Force cap badge, as used on CWGC headstones. The 2nd Regiment, Canadian Mounted Rifles (known colloquially as the 2nd Battalion, CMR or simply 2 CMR) embarked for Great Britain on 12 June 1915. After training in England it disembarked in France on 22 September 1915 as part of the 1st Canadian Mounted Rifles Brigade. On 1 January 1916 it was converted to infantry, amalgamated with 'B Squadron' and the headquarters staff of the 3rd Regiment, Canadian Mounted Rifles, CEF and redesignated the 2nd Canadian Mounted Rifles Battalion, CEF. It fought as part of the 8th Canadian Infantry Brigade, 3rd Canadian Division. The first on many battle honours awarded to the ‘regiment’ during the war was that for Mount Sorrel. This little known action took place in the first days of June 1916. Mount Sorrel starting when, on 2 June, the Germans exploded mines under the Canadian held positions along the slopes of a ridge east of Ieper (Ypres) running from Mount Sorrel in the south through Tor Top (Hill 61) and on to Hill 62. The area is well known to battlefield tourists today under the name of Sanctuary Wood, location of Canadian Memorial and a private cafe and museum, which incorporates a section of the old trench system. However, Burchall was not there to witness or suffer the ensuing German assault or the action a few days later when the Canadians recaptured lost ground, he died on 17 May, two weeks before the German attack. He is recorded as having been killed in action, but his burial at Lijssenthoek Military Cemetery (grave VI.D.38A) suggests he died of wounds some time (hours, days?) after he was injured. Lijssenthoek was the site of the busiest hospital complex in the Ypres Salient; it is a huge cemetery with 9,877 known casualties. A new visitor centre, opened in 2014, is a ‘must visit’ for anyone who is touring the area. 4am: One officer (Lieut Fennell T H) and one other rank killed and four other ranks wounded in front line during night. 5am: Close and very warm. Enemy put their new observation balloons near point of salient. Enemy aeroplanes very active. Situation normal throughout. 10am: Two other ranks killed and three wounded in trench R72. 10pm: One other rank killed and one wounded by snipers. Received gas alert.Weather fine and warm. In reserve. Casualties were also reported on 14 May, which could equally well have included Burchall. SOMERSET – Burchall Somerset, 2nd Battalion CMR, youngest son of the late Henry Somerset, of Milton Lodge, Newbury, and of Mrs Henry Somerset, of Nahun, British Columbia. Newbury people will hear with great regret of the death of Second Lieutenant Francis Henry Somerset, South African Infantry, eldest son of the late Captain Henry Somerset, of Newbury, and of Mrs Henry Somerset, now in British Colombia. Although only 34 years of age, he had seen much military service. He fought in the South African War and also in the Maritz Rebellion. He was for some time in the South African Constabulary, and passed with honours for the Woods and Forests Department, being offered a travelling scholarship, which he did not take. When the present war broke out, he joined the Imperial Light Horse, and served through the German South-West Campaign, at the end of which he came to England with the South African Infantry. He was sent to Egypt, fought against the Senussi, and was then given his commission and sent elsewhere. He was killed about July 17. Mrs Somerset’s youngest son, Burchall, of the Canadian Mounted Rifles, was killed last May. The late Captain Henry Somerset was associated with the old-established Newbury Company, and for many years was the popular commandant of the E (Newbury) Company of the Royal Berks Rifle Volunteers. Burchall's name on Newbury War Memorial, immediately below that of his brother Frank. 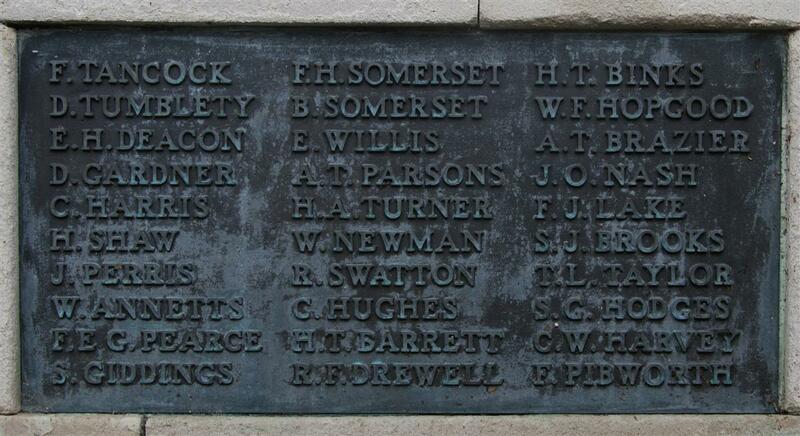 Burchall is remembered on tablet 13 of the Newbury Town War Memorial. Although he is believed to have attended Newbury Grammar School for a time he is not remembered on the school memorial, now in the reception area at St Bartholomew’s School, Newbury (unlike Frank, who is named on the schoolmemorial). The stories of his siblings, apart from Lionel, are told in Frank’s story. Much of Lionel’s story has been told above. He was evidently the closest to Burchall, who followed him first to Canada and then into the Mounted Rifles. The brothers worked as ranchers in Nahun, British Columbia – in the Canadian Rockies on Lake Okanagan. When his service record becomes available a clearer picture of his war service will be available, but it appears likely that he was invalided out of the army before the end of the war as a result of wounds or illness. Certainly he was back in Canada by 9 March 1919 – when most men who served to the end of the war were still awaiting demobilisation. On that date he married Madeleine Kathleen Arden Jenner at Christ Church, Vancouver; one of the witnesses was his sister Edith (still single). In 1921 Lionel, Madeleine and their infant daughter Margaret arrived at Liverpool on board the SS Empress of Britain; in the passenger manifest they gave their address as 4 Kenton Avenue, Harrow on the Hill. In 1923 Madeleine and Margaret boarded the SS Suevic at Capetown, bound for Victoria, British Columbia. It was around this time that Lionel’s mother, Mary, moved from Canada to Rhodesia ie from Lionel to Edmund, the only other of her six sons still alive. This is the last record uncovered to date regarding Lionel and his family. As there are no records of their deaths in England or British Columbia it seems that they moved again, perhaps they too joined Edmund in Rhodesia?